Are the stresses of everyday life getting to you? It’s time to get away from it all with the person you love. Whether you’re celebrating a relationship milestone or need to rekindle the romance, we know just what you need. The best romantic getaways in North Carolina start with a stay at Orchard Inn. Just one look at our mountain views will bring on a sense of calm and prepare you for your weekend of bliss, and we are here to make it special for you. Discover all the things to see and do in our area when you access our complimentary Vacation Guide! What Kind of Romantic Getaway in North Carolina Will You Have? 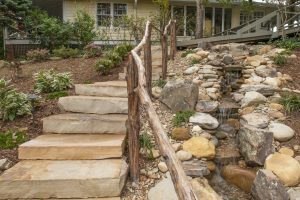 We have unofficially named Orchard Inn as the most relaxing place in North Carolina, and when you stay here, you will see why. The fresh mountain air brightens and calms the senses and clears the mind to refresh you after just one breath. Our guests could spend hours gazing out at the views while watching the birds flock to our feeders. Listen to the sound of trickling water from our water feature as you sit at our outdoor fire pit, or opt to truly relax with a spa treatment. Indulge in a couples massage and some aromatherapy to make your romantic getaway in North Carolina one you will never forget. Orchard Inn is the perfect place to stay as you indulge in a food-filled vacation. Not only do you get a delicious breakfast each morning, but you also have access to our on-site restaurant, Newman’s. A dinner at Newman’s isn’t just a meal; it’s an experience. 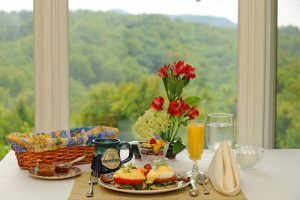 Here, you can enjoy the finest and freshest offerings on this side of the Blue Ridge Mountains with a farm-to-table menu featuring seasonal ingredients. Then, eat your way around our town of Saluda at spots like the Purple Onion before traveling to the food scene in Downtown Asheville. Orchard Inn is just a 40-minute, short drive away from this foodie mecca, so you can experience the delicious cuisine easily when you visit Asheville restaurants! 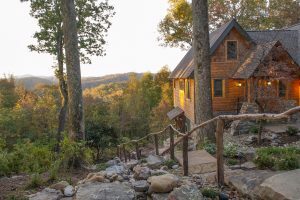 If you’re looking for adventurous and romantic mountain getaways in North Carolina, you have come to the right place. Our location is perfect for couples that enjoy exploring together! Breathe in our fresh mountain air as you embark on a journey to see some of the most breathtaking sights our area has to offer. One of the most romantic aspects of our landscape is the plethora of waterfalls. One of our favorites is Big Bradley Falls, a 75-foot cascade near the inn. 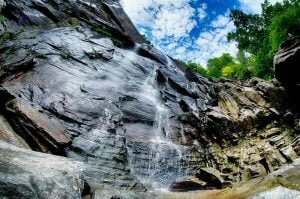 Whether you are a novice or an expert hiker, the trails to these natural phenomena are perfect for your trip. We even have a nature trail right on our property! History lovers will love staying at Orchard Inn! Our inn itself has a unique history as a summer getaway for railroad employees and their families. In the area around our inn, there are even more places to learn about. Find museums, learn about the Saluda Grade, and more. A favorite is the Biltmore Estate. The house itself is the largest home in the United States and holds an incredible history. The staff keeps the home and gardens exactly how they were when they were built in the 1800s; it’s a sight you absolutely have to see. 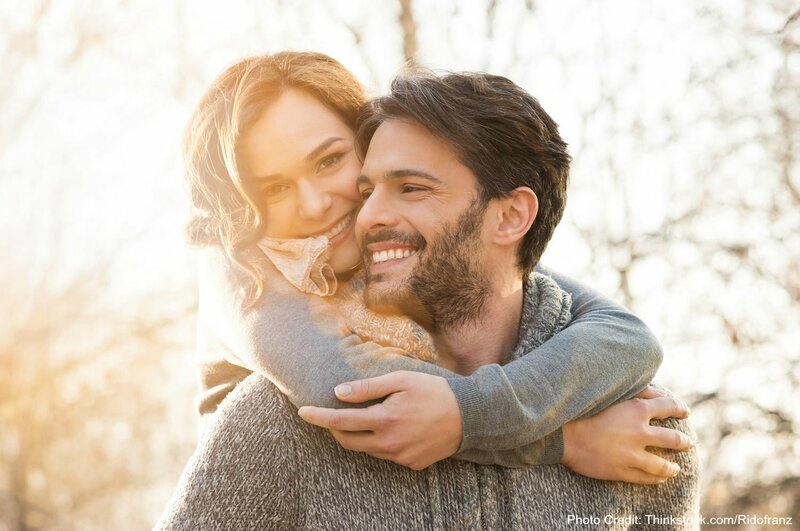 You deserve a romantic getaway in North Carolina, so what are you waiting for? It’s time to book your stay at Orchard Inn. Choose a bed and breakfast room, cozy cottage, or a luxurious suite, then get then get to planning your trip to our mountain paradise. Whether you’re coming for a week or weekend getaway, you and your sweetheart will leave here feeling relaxed and closer than ever. You can even indulge in our Romance Package to make your stay extra special. What are you waiting for? The best time to book your getaway with your other half is now.